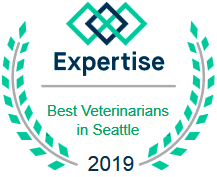 The Family Pet is a full-service Seattle veterinary practice based in Ballard with over 70 years of experience, offering modern medicine with traditional values. Being a family owned business, pets aren't treated according to a corporate template or prescribed treatment that your pet may not need. We furnish individualized treatment for each patient at a level you select. Doctors Carrie Schneider, Mary Kay Hilmoe, Hadar Friedman Angela Krzmarzick, Amy Poole and our highly qualified support staff are experienced in complicated cases and geriatric medicine. They are motivated to make your pets visit pleasant while offering the best possible diagnostic and treatment options. We strive to furnish the very best veterinary services and education to our clients to help our patients lead longer, healthier lives. Barnyard Pet Vet is Now Accepting NEW Clients! 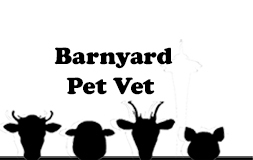 Barnyard Pet Vet specializes in the care and treatment of goats, sheep, pigs, and other other small livestock. Dr. Schneider and Dr Krzmarzick make home/farm calls in Seattle and the surrounding areas. Services include treatment for both well and sick animals...annual vaccines, strategic deworming, hoof trimming, reproductive services, dentistry, surgery and more. Small livestock; chickens, goats, rabbits, mini pigs, etc. 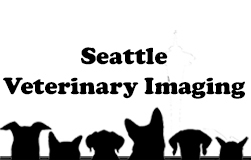 receive treatment at The Family Pet Veterinary Hospital at 6005 15th Ave. NW, Seattle. 3D CT Scans are an affordable safe, advanced imaging technique. CT scans result in 1000x more information than traditional two dimensional x-rays allowing for a more precise and complete diagnosis of a pet’s injury or illness. Not having to run additional tests means savings of time and money! See Examples of Images HERE. Zoetis Petcare Rewards Program - Earn points toward rewards with each purchase of a Zoetis participating product. Use rewards to pay for products and services at The Family Pet. Call 206-784-3810 to schedule an appointment to have your pet's teeth cleaned while they are awake! 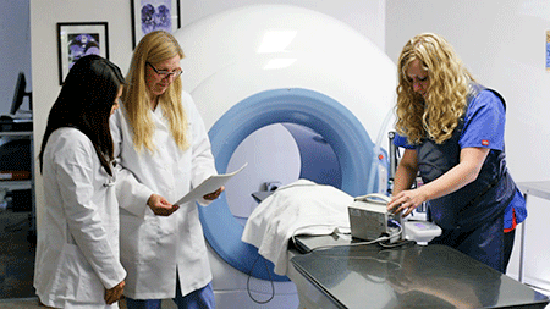 CT Scan for Pets - The Family Pet has one of the few CT Scanner for pets in the Seattle area. Treat Itchy Dogs Without Steroids! We now carry Cytopoint and the difference it has made to our allergy patients is remarkable! Experienced Export Experts for pets moving overseas. We are a provider of pet health certificates for several pet relocation services. Ample Parking - In addition to our off street parking lot, there is free 2 hour street parking on 15th Ave NW in front of the Seattle Mattress store just north of our alley and free 30 minute street parking on 15th on the block just south of 60th street in front on Pasta Bella. NEW CLIENTS ARE ALWAYS WELCOME! Current clients who refer friends & family get $15 credit on their account AND their friend or family gets $15 off too! All you need is our business card! Please phone 206.784.3810 to schedule an appointment. ONLINE appointment requests are not accepted at this time. "I wish I had a million dollars to hand over to the staff. The reception, techs, dr, EVERYONE. My little dog became quite ill and despite their exceptionally busy day, they found a way to take him in." "Brought my kitten in for his first shots and everyone was super friendly! I'm a first time cat owner and they happily answered all my questions. Left with a kitten kit and a lot of useful information."" "They are just the best. So friendly, easy to work with, take great care of our puppy. Can't go wrong with them! Jay V. Seattle." "Very caring and thorough in exams and explanations. Now taking my second dog to them. Easy to get to with on site parking helps too. Do grooming too! Drs. Hilmoe and Nagasako both are terrific." "A vet that walks in and joins your very scared kitty on the floor is the best kind of vet. Ella and I thank you!" "We can count on Family Pet for consistent trusted service for our pets for many years now, in gratitude to the caring staff!" One of the Best Veterinarians in Seattle. *The Family Pet is not accepting ONLINE appointment requests at this time. Please phone 206.784.3810 for appointments.